PolyMet Mining moved a tiny step closer to its goal of opening the first copper-nickel mine in Minnesota last week when the state Department of Natural Resources declined an environmental group's petition for additional environmental review on the proposed mine. But the controversial project, nearly 15 years in the works, still faces several hurdles before construction can begin, including lawsuits, potential administrative hearings, several key permits PolyMet still needs to obtain — and the significant funding the company needs to raise to build the nearly $1 billion project, which would include a mine just south of the Iron Range town of Babbitt, Minn., and a processing facility a few miles south in Hoyt Lakes. The PolyMet proposal — and the prospect of a new copper-nickel mining industry amongst the forests and lakes of northeast Minnesota — is the most divisive environmental issue the state has faced in decades. 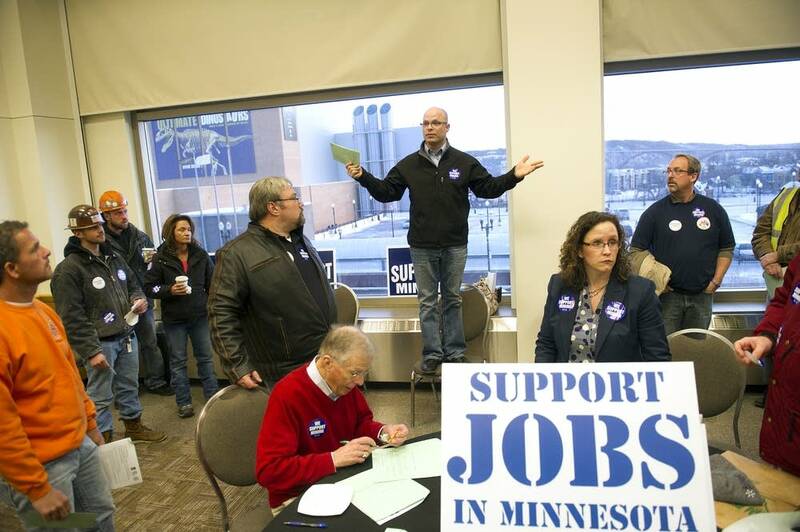 Backers argue the proposed mine, together with additional projects that could follow — like the Twin Metals copper-nickel mine proposal near Ely, Minn. — would transform northeast Minnesota: creating hundreds, if not thousands, of high-paying jobs and injecting tens of millions of dollars into the regional economy. But detractors say that economic infusion could come at the expense of the Arrowhead region's treasured environment- and outdoors-based economy, because copper-nickel mining poses new risks for more severe water pollution than what's caused by the region's iron mining industry. With key decisions from the Minnesota Department of Natural Resources expected this fall, here's a look at the major issues still facing PolyMet — and the state — before the mine could be built. PolyMet needs to obtain more than 20 permits from local, state and federal agencies before it can begin construction. Those include air and water quality permits from the Minnesota Pollution Control Agency, a wetlands permit from the U.S. Army Corps of Engineers and several permits from the state DNR. The largest — the permit to mine, from the DNR — lays out how PolyMet plans to operate its proposed mine, control pollution and eventually close the mine after its planned 20-year lifespan. It also includes details on financial assurance protections, in case PolyMet were to declare bankruptcy and would need to close the mine without meeting its clean-up obligations. 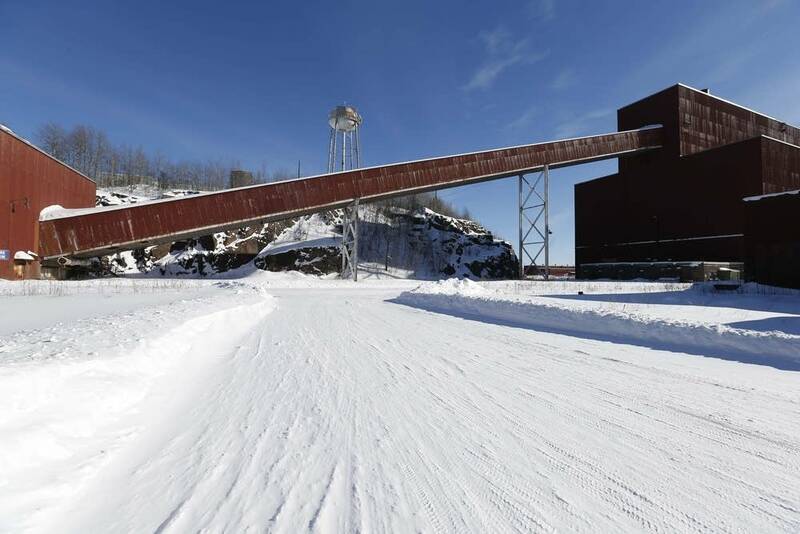 The DNR released a draft permit to mine — more than 4,000-pages long — for PolyMet in January. Now the department is wading through about 14,000 comments it received on that draft, in addition to thousands of additional comments filed for PolyMet's draft dam safety and water appropriations permits. The first permit outlines how the company plans to build a giant earthen dam to hold back mine waste, while the second regulates the company's water consumption and its impact on the surrounding watershed. The DNR expects to decide on final permits sometime this fall, said assistant commissioner Barb Naramore, unless the agency agrees to requests for so-called "contested case hearings" on the proposal, which would be held before it makes its final decision on the project. Four environmental groups petitioned the DNR in February for a "contested case hearing" on PolyMet. The "contested case hearing" is a trial-like process, that's held before an administrative law judge. It includes testimony, evidence and cross-examination. The judge in such a case would then issue a recommendation to the DNR on PolyMet's permit to mine, before the agency commissioner decides whether to ultimately approve it. The process is common in Minnesota for large development projects, and happened fairly recently in another major permitting process for Enbridge Energy's proposed Line 3 oil pipeline replacement project. An administrative law judge in that case held several days of hearings in the proposal, and issued a recommendation to the Minnesota Public Utilities Commission, which ultimately made the final decision to allow the project to move forward. The conservation groups involved in the PolyMet process say those hearings are needed to settle disputes over issues such as the mine's tailings dam, which is designed to hold back it's mine waste. But PolyMet argues that hearings are unnecessary, saying those issues have been thoroughly discussed and debated over the course of several years of environmental review and that the proper venue for remaining disputes is state and federal courts. The DNR anticipates making a decision on the contested case hearing by this fall. If it sides with the petitioners and calls for the hearings, "it would add several months before we would make a permit decision," said Naramore. Environmental groups argue that delay is justified, for such a complicated decision with such huge implications. 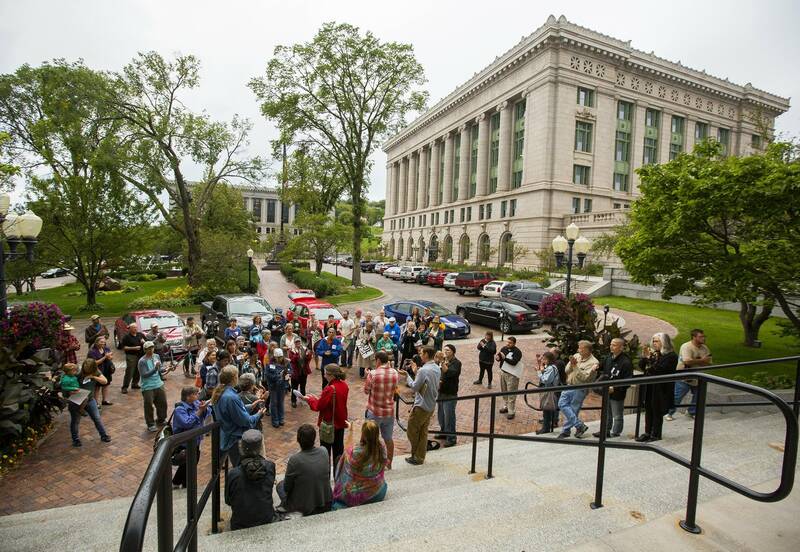 "We want to make sure that Minnesota's water is protected, and we're going to do everything we can to make sure that happens," said Aaron Klemz, a spokesperson for the Minnesota Center for Environmental Advocacy. In January 2017, the U.S. Forest Service approved a land exchange with PolyMet for acreage that the company needs to dig its open pit mine. Environmental groups have since filed several lawsuits challenging that move. The suits allege, among other claims, that the government gave PolyMet a "sweetheart" deal in the exchange, by valuing the land it traded to PolyMet for its timber value, rather than the value of the minerals the company plans to mine. A federal judge has temporarily paused those lawsuits, pending Congressional action. 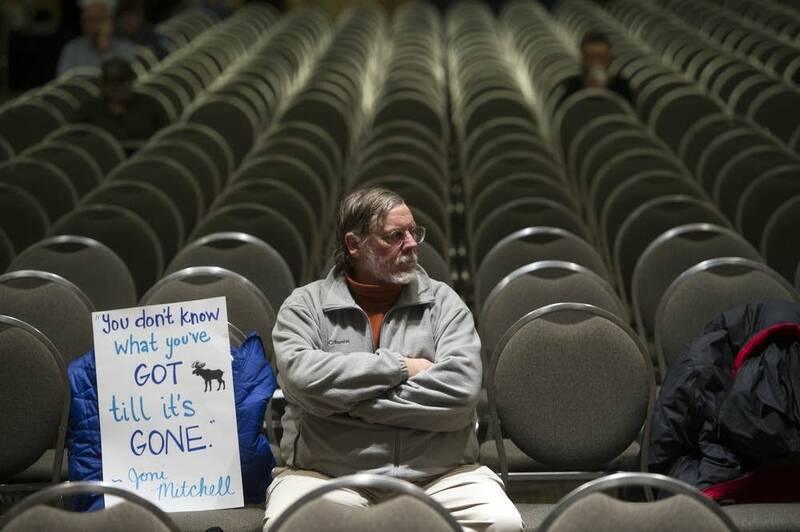 • PolyMet applied to open its copper-nickel mine: Now what? Bills that would have ended the litigation on the land exchange passed both the U.S. House and Senate, but the legislation was dropped from final legislation passed by Congress. PolyMet said it is still lobbying for Senate action to end the lawsuits challenging the land exchange. Meanwhile, the environmental groups are hopeful the stay on the lawsuits will be lifted when the current Congressional term closes at the end of this year. In addition, if state and federal agencies ultimately approve permits for the project, it's likely more lawsuits will follow. Finally, if PolyMet obtains all its needed permits and prevails against pending and expected legal challenges, it then needs to raise the nearly $1 billion needed to build its copper-nickel mine. A new technical report the company released in March pegged the cost of building the mine at about $945 million — about $300 million more than previous estimates. 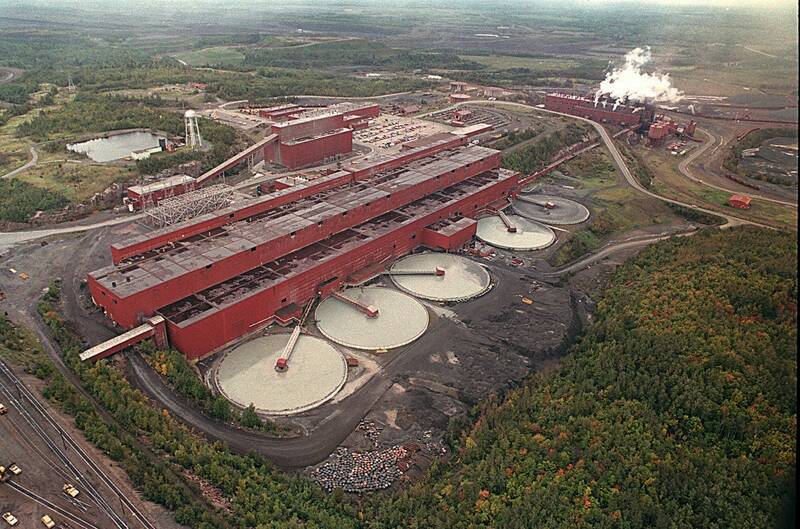 Environmental groups have continually questioned PolyMet's ability to raise the cash needed to build the mine. PolyMet's most recent report estimated a rate of return to investors of about 10 percent, that's about three times lower than earlier estimates. But PolyMet says it is confident it will acquire the money it needs, if permits are ultimately approved. "We've spent over $300 million already," said Brad Moore, PolyMet's executive vice president of environmental and governmental affairs. "We've already demonstrated the ability to stay in this over the long haul."